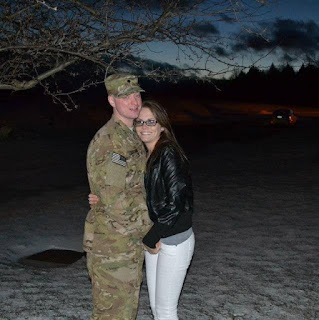 Damien and Maggie are young parents who recently made the switch from military life to civilian life. 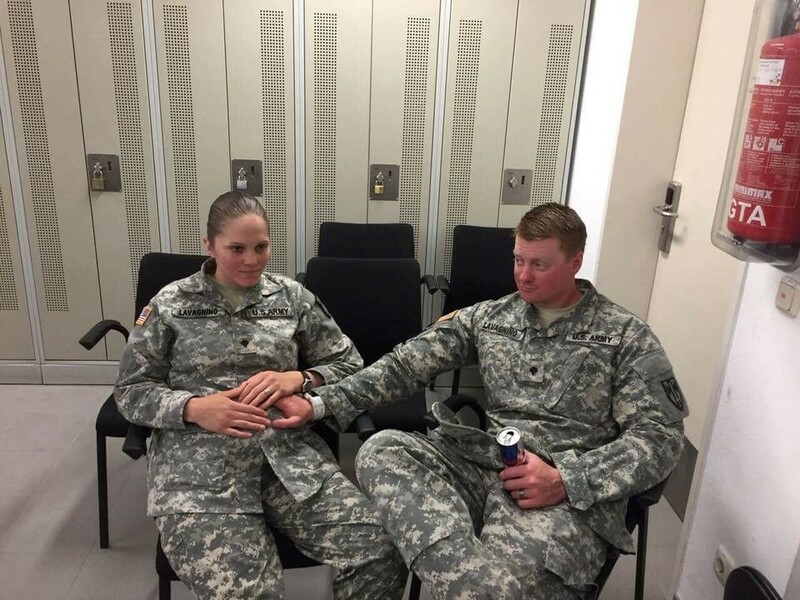 They both joined the Army around the same time. Maggie was fresh out of high school, and Damien was a couple years older. 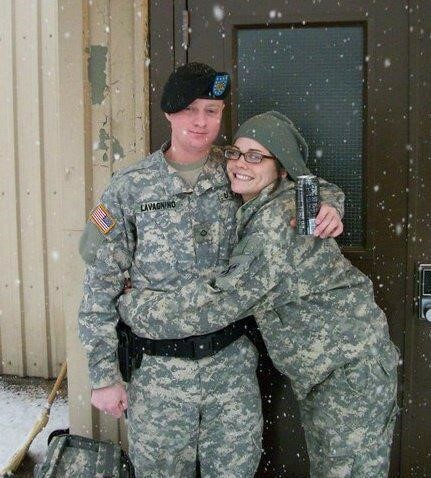 They met while serving in Korea, and navigated military life through the births of their two kids and Damien’s deployment to Afghanistan. 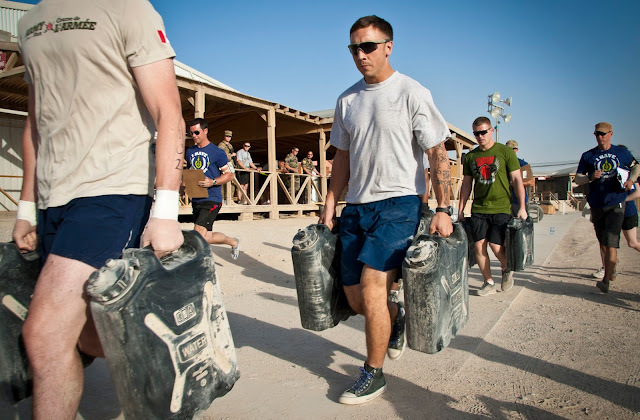 Now these Army Vets are taking what they learned and “starting over” as civilians. Danielle, a psychologist at HPRC, asked about some challenges they faced. She wanted to hear the good stuff too. Danielle: You’ve gone through many changes together during your careers in the military. How has your relationship strengthened? Maggie: When we first married, Damien’s work was more of the “go to the field and be gone for long hours on end” type, and my job was mostly office work. During that time, I took on most of the parenting responsibilities, caring for our home and our daughter. So when it came time for my job to switch to combat, fields, ranges, and working long hours, Damien understood what that was like. And he was very supportive. For example, he cooked, cleaned, and took care of our children. When I got low, he was positive and uplifting. He’d say, “Keep pushing, you’re gonna get through.” And it was easier to believe that knowing he had been through so much more. Danielle: Sometimes life experiences help families find new goals and see new possibilities for their lives. 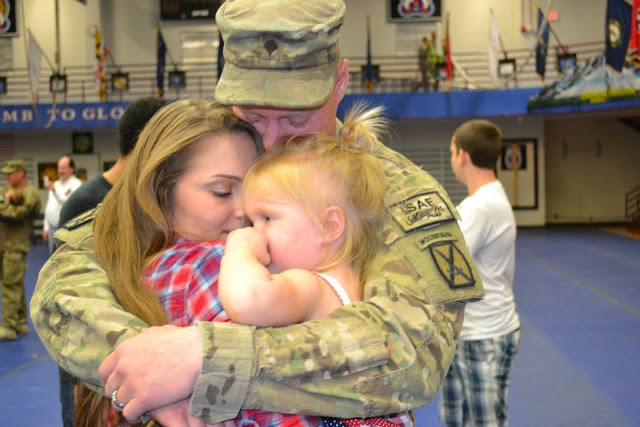 How did your goals for your family change as you transitioned out of the military? Maggie: Before I got out of the Army, I felt like my goals were limited to what my work allowed me to do. For instance, I wanted to work badly within the medical field, but my MOS wouldn’t allow me to do that. When I got out, my goals were no longer limited. So I went back to school for a career in the medical field. Learning to rely on Damien—to take the lead caring for our children and our home while I stayed in the Army—also gave me the confidence to set bigger career goals than what I might have done otherwise. If I hadn’t been pushed to take the lead in my military career, I might not believe I could do it now. 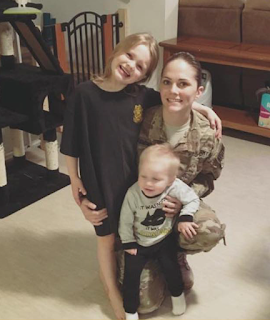 Danielle: Military life isn’t easy, but it can inspire families to develop a deeper sense of appreciation, a shift in priorities, or a clearer purpose. How has this been true for your family? Maggie: Our family had a major change of roles and responsibilities when Damien transitioned out and I chose to stay in. After the birth of our second child, my job changed too. I went from working in an office to patrolling the streets of Germany. I leaned heavily on my husband to take care of the household, our children, etc. It was extremely hard for me to be away from our children for long hours, especially our son who was only a newborn at the time. But just like any other military family, we adapted and learned quickly how to live with this new adjustment. This has given both of us a new appreciation for the roles we took on at different times. We walked a mile in each other’s shoes. It was eye-opening. Danielle: Maggie, you mentioned you experienced the transition into civilian life differently than Damien. What are some challenges you faced? Maggie: I felt like Damien had more time to transition to civilian life than I did. When Damien transitioned, we were still stationed in Germany and living the military life. Although his roles changed at work and home, some things stayed the same. During my transition, we moved our family out of Europe, on top of exiting the service. I know it’s said to be a happy experience, but I’ve seen a lot of transitioning Service Members struggle with getting out for whatever reason. And I had some hard days myself. After you transition out of the military, your brain doesn’t shut off. 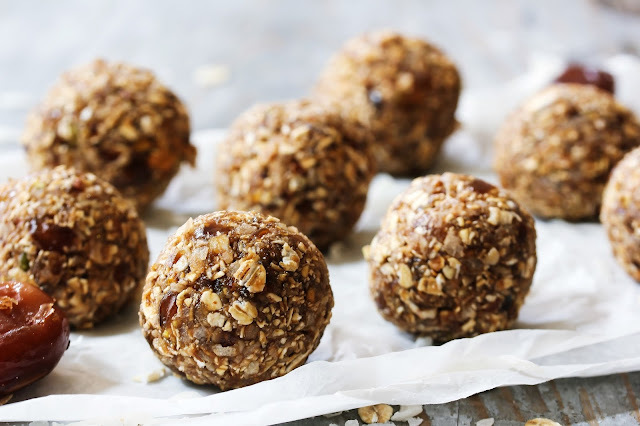 When I was in the Army I kept up with a fast-paced routine of waking up every morning at 4 a.m., getting everyone ready, doing my job, training, etc. Now I don’t have a structured schedule. Life got slower, and I’d think, “What am I supposed to do?” You almost have to retrain your brain on how to live. Danielle: How have you been able to lean on internal and external resources to get through those challenges? Maggie: When I get upset or stressed, I focus on being productive by doing things like cleaning the house. I also started reading more for enjoyment—like the Outlander series and books about how to grow and thrive in different situations. I read a lot now. You also need patience. It’s hard when life doesn’t move as quickly as you’re used to or as fast as you want it to. Our things are still in storage, and we’re living with family while we work towards getting our own place set up. I’m grateful for the support and try to remind myself that it’s okay to take things slower now while I’m in school. We know by making sacrifices now and leaning on family for support, we can set ourselves up for a better future. Damien continues to play a huge role at home, so I can focus on school and my career. We also are focusing on each other. After getting out, we haven’t made many social connections and almost don’t know how to socialize. This is the first time in our adult lives we haven’t had the built-in connection of the military. Our closest friends are all over the world. The first time we went out, we realized we were both kind of standing in the corner with our arms crossed. Helping each other recognize that and knowing we’re in this together is comforting. Damien: Since we’ve been home, getting medical support from the VA and our community has helped me cope with some of the tough stuff. Also playing video games with military friends has been one way I’ve stayed connected with the guys all over the world. We can talk and check out, and it keeps my mind busy. I also do a lot of cooking. It’s something I learned from my parents. Sometimes it’s the little things that help. Danielle: Damien, what was it like transitioning to your role as a stay-at-home dad? Damien: It was just as difficult as being in the Army, but it’s a “new” difficult and just as stressful. When I was in the Army, I’d work 15–25 days in a row for 16–18 hours at a time on 3–4 hours of sleep. I lived in the same house with my daughter, but I’d go 2–3 weeks without seeing her awake because I was only home when she was sleeping. I’d miss my family on top of the stress at work, patrol, PT, exercise, and so on. It was hard, but I got through it. It was eye-opening to realize that being a parent—while Maggie worked those long hours—in a place with no family (we were in Germany) was also a 24/7 job with no break ever. And on top of making sure the kids were fed and taken care of, I was a full-time student. Taking care of an infant and a toddler takes a new kind of endurance. When I transitioned out, I also didn’t know what to do with myself if I wasn’t doing “something.” Things I was able to push away—and not think about when life was so fast-paced in the Army—would start to resurface when life slowed down. Remembering those things—like post-traumatic stress disorder (PTSD)—I didn’t know how to deal, so I focused on staying home. Danielle: What are some of the challenges and lessons you took from that experience? Damien: One of the biggest challenges was being in Germany. We lived on the other side of the world—away from any family members. We had some close friends but didn’t have family. There was never a “Let’s go see Grandma” or “Hey Dad, can you take my kids so we can go on a date?” We had very few people in our lives we could fall back on if we needed help. It was only like that because we lived across the world. We did everything completely by ourselves. We’re proud of that. Danielle: Did that experience help you learn about strengths that were different than those you used while you were in uniform? Damien: My wife was still in the military, and I was surrounded by the lifestyle. I used a lot of my strengths I learned in the Army to help me transition to a completely different life. I made sure we stayed on a very strict schedule. For example, we ate at the same times we did when I was in the military. I was very strict and very structured. I still had an important job, but it changed. The structure and schedule is good for little kids and me too. Danielle: Some life challenges also can be opportunities for growth. Even if it wasn’t easy while you were going through things, what positive changes did you experience? Maggie: Our daughter was 15 months old when Damien deployed to Afghanistan, and I had to learn how to continue in my military career and care for her alone. I was able to build a strong bond with our daughter during that time, but Damien missed out on that. When he returned, she was almost 2 years old. It really makes you appreciate each other when one partner has to go away for a while. That saying—you don’t know what you have until it’s gone—is an understatement. There’s no better feeling than when your loved one comes home safe and sound from a deployment. On the flip side—when Damien got out and I stayed in—that was a different kind of challenge. I learned how it was to be away from our family, and we learned to really understand each other. And we’re more open with each other now, even in the hard times.